Really, who wants to read anymore? So we figured we would put together some videos to get you hyped before your appointment, or to keep you interested between appointments. Take a peak at all of the edits that Mike's Bone Out Productions and friends of Lakeside have put together for your viewing pleasure. Bone Out Productions is back with another edit to get you ready and thinking about summer on the lake. There are some exciting changes coming to Lakeside Watersports this year. Stay tuned and get ready to spend more time on the water in 2019. For the second straight year, World Champion Wakesurfer Keenan Flegel joined us on Candlewood Lake for a full-day clinic behind out Axis Wake Research A20. Check out this footage of Keenan throwing down. Here are some Lakeside Watersports videos from year's past. Take a walk down memory lane with these ones. Lakeside Watersports invited World Champion Wakesurfer Keenan Flegel to Candlewood Lake on 7/11/17 for a two-part wakesurf clinic. Check out some of the footage from the riders who participated and stay tuned to watch Keenan throw down behind our boat at the end of this video. We have a lot more footage, so don't be surprised if you see more of Keenan surfing in future edits. After stumbling across the Wake the World Organization while looking through Wakeworld Magazine last year, and we knew this would be a great way to give back to our community right here on Candlewood Lake. We connected with Wake the World, and they were excited that Lakeside Watersports was willing to offer the first opportunity in Connecticut for underserved members of the community to enjoy time on the water. Take a look at the edit, Lakeside employee, William Nicolini, put together detailing the first ever Wake the World event in Connecticut that was held on June 30th. Special thank you to the team at Danbury Youth & Family Services for making this event possible. Every year we push ourselves to find creative ways to highlight the awesome experiences that we provide on Candlewood Lake in Danbury, CT. This year we decided to take it to the skies. With the help of Vinny from Flying Films NY, we were able to capture a bird's eye view of what it looks like to drop the boats in and to get out riding for the first time this season. Shout out to the Lakeside staff for braving a chilly morning, the footage was totally worth it. We wouldn't be anywhere without the help of our incredible staff. They are the ones who make your time out on the water so memorable. We wanted to take a few minutes and highlight some of our team that have shown a true commitment to the sport and a passion for Candlewood Lake. Take some time and check out the unbelievable riding from Lakeside Driver, Ryan Dunn. He is also a founding member of the 1st Annual Candlewood Cup Wakeboard and Wakesurf Competition that took place this summer. The other cool part about this video is that it was shot and edited by our very own Mason Geils. This video is a true local edit and we are proud to say that we work alongside these guys just about every day of the summer. Let us know what you think, or drop us a line if you want to learn to ride like Ryan. Calling all Outdoor Enthusiasts! Earlier this summer we welcomed the crew from the CPBN Media Lab to Lakeside Watersports (That's the Connecticut Public Broadcasting Network for our out-of-state friends). They wanted to experience watersports on Candlewood Lake, we were happy to oblige. Here's the video they put together recapping their time on the water...You never know what's going to happen next. For the one-year anniversary of filming our promotional video, "Lakeside Living," we are pleased to present "Lakeside Living Leftovers." We had so much footage from our two-day shoot on Candlewood that we could not fit it all into one video! Enjoy the second helping! Chris, Mike and Matty from Lakeside took a little vacation/business trip down to Orlando to check out SURF EXPO. For those of you who haven't heard of SURF EXPO, it is basically the mecca of all things watersports. It's a huge trade show where manufacturers show off all the new products for the year ahead. Everything from boat companies to wakeboard and waterski manufacturers, even watersports apparel companies show off their newest innovations. We got lucky, during the weekend we were at the show, there was also a professional waterski competition going on at Lake Eola in downtown Orlando. Check out the video to see the top pros slalom through the course and hit the competition ski jump. We decided to shoot a promotional video for Lakeside as we headed into our second season. You could say it got a little out of hand... Pro wakeboarders, slalom skiing, paddlesurfing, cliff jumping and helicopters. Yes, helicopters. Our promotional video really morphed into a short film. Here is the final edit of what we call "Lakeside Living." We did our best to make the filming of "Lakeside Living" a community event. It features riding from our sponsored athletes, original music by local artist, "Nonymous," just about every one of our friends, and was filmed and edited by a local up-and-coming studio. This video is one of the things we are most proud of as a team at Lakeside. We hope you enjoy it as much as we do. Bluesteel's video debut! This was a little edit we put together to show all of the watersports we offer here at Lakeside. "You can get with this, or you can get with that...'Cause this is where it's at!" Many of you had the chance to be coached by Connor this year. Take a peak at some of the wakeboarding tricks he put down this year riding behind his own boat on Candlewood. This edit was put together by Lakeside's very own Will Nicolini. Keeping it all in the family. 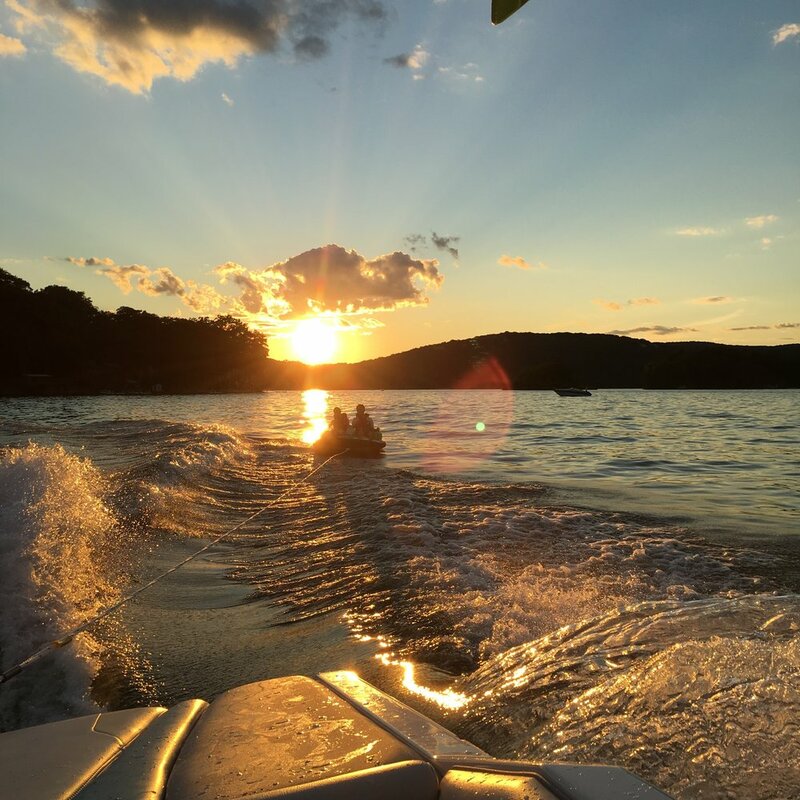 Summer fun is back in a big way on Candlewood Lake this Summer. After a long winter, Lakeside Watersports is geared up and ready to provide you the best summer ever. Get on the schedule today to experience all of the new watersports that Lakeside is offering this season. Spots are filling up fast. So we have toyed around with the idea of bringing a contest back to Candlewood Lake for years now, but we just didn't have the time to bring it to life the way that it deserved. Enter Lakeside Employee, Ryan Dunn, and Lakeside Customer, Anne Goodnow. 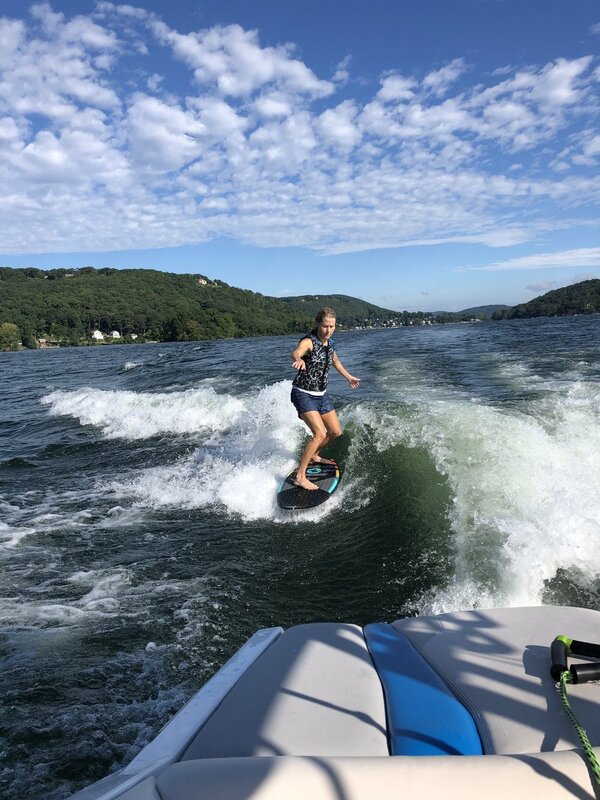 The two of them saw the opportunity and made it happen this August with the first Annual Wakeboard and Wakesurf Competition on Candlewood Lake. This INT League Contest had competitors of all ages and abilities levels. Check out some of the highlights of the tricks that we stomped. Special shout out to Lakeside Driver, Connor Kostyra who took first place in the Advanced Men's Wakeboard division. Stay tuned for what this contest will look like next year. We've heard rumblings of some big plans in the works. Unfortunately, we had to say goodbye to our beloved 2011 Axis A20, dubbed "Bluesteel" at the end of last season. As sad as that was, it means you get to enjoy a new boat with all the bells and whistles this year. We are proud to introduce you to "New Steel," our brand-new, custom-designed 2013 Malibu VTX. This video is designed to give you an idea of what features the new boat has to offer; but trust us, you need to come check it out for yourself. Our friends from Brownstone Wake Park came down from Portland, CT for some fun behind the boat. Check out the wakeboarding skills that these guys were showing off all over Candlewood. Just a tease of our short film entitled, "Lakeside Living." All we have to say is get prepared to be wowed! Lakeside Watersports is happy to announce our sponsorship of local wakeboarder, Kyle Kolbig. Check out some scenes from a day on Candlewood Lake with Kyle. Be sure to look for him at Brownstone Adventure Park this summer! 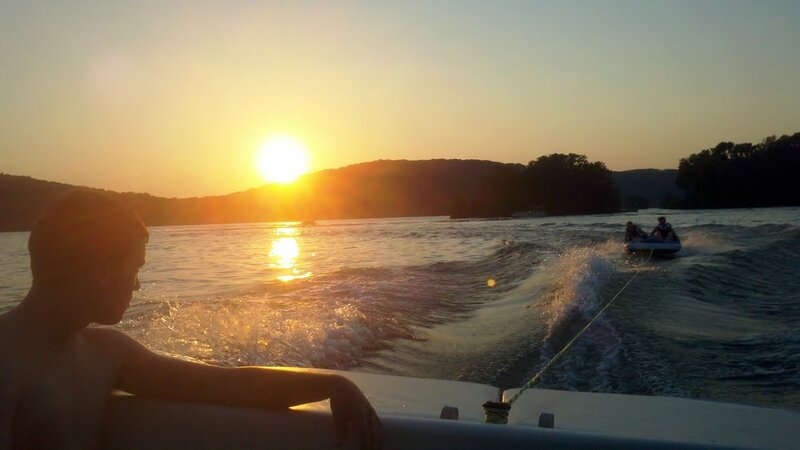 Lakeside Watersports Owner, Mike Rambone, out for a morning wakeboard session on Candlewood Lake. All footage captured by a chest-mounted GoPro Hero camera. Woohoo! This is the first video we ever made while we were deciding to bring Lakeside to Candlewood Lake back in 2011. We have come a long way from these humble beginnings, but it's always fun to look back at where you've come from. This video holds a special place in our hearts. It's a little dramatic, but we love it just the same. Thanks to our friends in Florida and Maine for the quality riding, and to iMovie for making video editing a breeze. Haha. "Connecticut's vast number of lakes, ponds and rivers offer all sorts of refreshing water sport options for people looking to cool off on hot summer days, from swimming to waterskiing and just plain boating." We were excited to see Candlewood get some love in this Hartford Courant article by Gregory Hladsky detailing all of the hots spots in Connecticut to spend time on the water. We wouldn’t be here without the leading ladies in our lives. Our Moms. We were thrilled to find out that one of our amazing customers, who is also a celebrity make-up artist and correspondent for Hearst CT News’ Beauty Happy Hour shared a post that listed Lakeside Watersports as a great gift idea for Mother’s Day this year. We made Number 4! Check out the full list HERE. Here is some more information on Brandy Gomez-Duplessis. We aren’t experts on make-up, but she’s got skills. Thanks for the love Brandy! Happy Mother’s Day to all of our Lakeside Moms out there. Lakeside Watersports has finally become a verified tourism partner of the State of Connecticut. As part of a complete and total overhaul of the CT Tourism website, CTVisit.com, Lakeside Watersports was invited to become an official partner of the state. As the leading watersports service provider in CT and the NY Metro area, we jumped at the opportunity to be listed on their site. Check out the new site and our listing HERE. 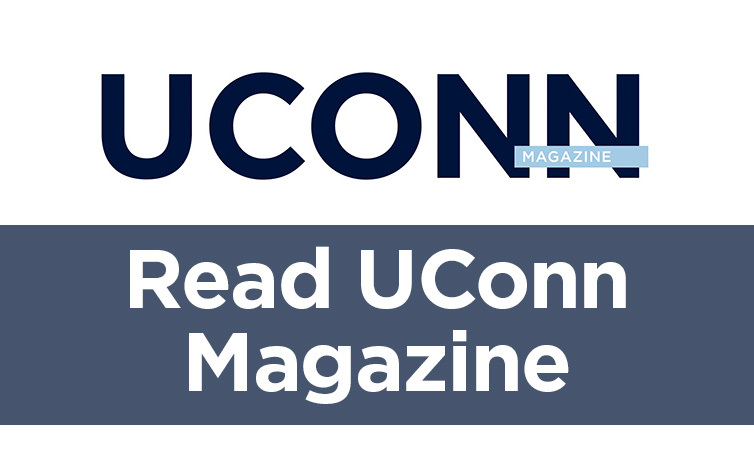 We were incredibly fortunate to have been contacted by the writers at UConn Magazine, who were organizing a feature about what it takes to live your best life. To our surprise, this feature turned into the cover story for the Spring 2015 Issue of the Magazine. Along with many other UConn alums, we were tapped to break down why waterskiing is part of your best life and how to actually make it happen. If you want to learn how to waterski this summer, join us on the Lake: Book your session today. No boat? No problem! We had the pleasure of welcoming Sarah Cody from Fox CT News and her film crew out to Lakeside earlier this summer. They filmed a segment for their Emmy Award-Winning feature called Daytrippers. They highlight places that Connecticut residents can travel to-and-from in one day. Whether folks are planning a vacation or a “staycation,” we are honored to make the list of of Day Trip locations. Great job to Sarah who popped back up on the waterskis for the first time in 20+ years. We always say it is just like riding a bike, once you learn, you’ll never forget. Read the full article here: Fox CT Daytrippers: Lakeside Watersports If you’re interested in hearing about more of Fox CT’s Daytripper locations check out Sarah on Twitter @ctmommyminute. The article that ran in The Hartford Courant was picked up by AllianceWake.com. Lakeside has been a longtime supporter of Alliance Wakeboard Magazine. Lakeside Watersports is actually listed as the only Wakeboarding Camp and School in CT in the back of their magazine. If you aren’t a subscriber, we would highly recommend it. We are stoked that the editors at Alliance Wakeboard Magazine took some time to write a feature on the Rail Jam that took place at our local Brownstone Wake Park back in May. For the first time, Lakeside Watersports co-owners, Chris and Mike, were asked to be the guest judges for the Wakeboard Rail Jam that took place over Memorial Day Weekend at Brownstone Exploration Park in Portland, CT. Brownstone staff had the cable and ramps dialed and the local talent did not disappoint. We wanted to give special congratulations to Olivia Pease who one the entire contest with a technically flawless run in the finals. Such a great way to kick off this year’s summer season. Check out this reader submitted article that made it into the Hartford Courant. For the third year in a row, we had the privilege of participating in Danbury’s Memorial Day Parade. We love this event because it gives us a chance to say, “thank you,” to our family members and customers who have served or are currently serving in the military. We appreciate all of the service you have provided for our country. It was once again a gorgeous day, The News Times even grabbed a photo of Matty while he was “Roller-Skiing” down White Street in Danbury. We are stoked to find out that CBS CT voted us as one of the Top Spots in Connecticut To Take Family Photos. Our customers have always told us how much they love taking photos out on the boat. In fact, some of the “Lakeside Family Photos” taken over the years have made it into holiday cards, magazine ads, and even television shows. Check out the article posted on CBS to see some of the other great spots in CT to take Family Photos. How many have you visited so far? 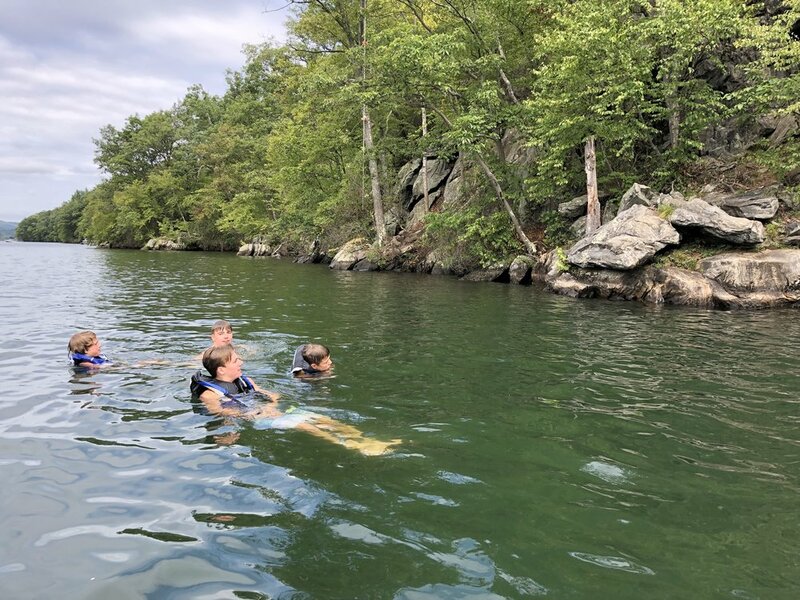 Lakeside Owners Chris Nuelle and Mike Rambone were recently recognized in the University of Connecticut Alumni Newsletter for starting Lakeside Watersports. DANBURY — Now people enjoying “staycations” can experience watersports as if they’re visiting the Caribbean, thanks to Chris Nuelle and Mike Rambone. The young men started their own business, Lakeside Watersports, in 2011 based on their experiences with the various sports and their formal education backgrounds. Having met at Newtown High School, they attended the University of Connecticut together, where Mr. Nuelle studied entrepreneurship and Mr. Rambone worked toward becoming a teacher. “I have an indoor classroom in the winter and an outdoor classroom in the summer,” Mr. Rambone told Voices. The two noted that, unless a person owns a boat or has a friend with a boat, it’s often too expensive to enjoy watersports. Their goal is to make these activities affordable and enjoyable. With an office at Pocono Point Marina, 16 Forty Acre Mountain Rd., and a 20-foot Axis A20 boat that seats 11 people, Lakeside Watersports had 200 customers in its inaugural year and, in its second season, is well ahead of that number. When teaching children or adults, who may be a little uncomfortable, one of the men is happy to jump into the water. Lakeside Watersports offers water-skiing, slalom skiing, wake-skating, wake-surfing, wakeboarding, knee boarding and tubing. “We’re super flexible,” Mr. Nuelle noted. “It’s your block of time and if you want to get pulled along in a tube or just go for a boat ride, it’s up to you. Lakeside Watersports is open seven days a week in the summer and both owners like to stretch the season as long as they can. “The water stays warm; right now it’s 80 to 85 degrees and there are no sharks or jellyfish.” Mr. Nuelle said that anyone just needs to schedule an appointment, which can be done online. “Everything is included in the price, all equipment, the driver, and the spotter.” Mr. Rambone said some people like to come down alone to practice a particular sport. They have done house calls, visiting homes on the lake and even using the resident’s boat to instruct a family tired of yelling at one another. “We joke we’re cheaper than a divorce.” Mr. Rambone said, “We do it right the first time. We can adjust the rope length to make getting up easier and the boat is the right size with a tower to get a better angle to pull you out of the water. Both Mr. Nuelle and Mr. Rambone are licensed boaters, with thousands of hours on Candlewood Lake. Mr. Nuelle is a former lifeguard and Mr. Rambone has EMT training. [Mr. Nuelle and Mr. Rambone] are very professional and they make it fun. Anyone who would like more information can call 203-744-9884, visit LakesideWatersports.com or follow the fun on Twitter and Facebook. “We like to use social media to follow up with customers, to let them know we’re still thinking about a lesson, or show the current lake conditions,” Mr. Nuelle said. “It’s a cool feeling, gliding on something you normally can’t stand on,” Mr. Rambone said of the watersport experience. “We’re here to make a memorable day, something you’ll tell your family and friends. Lakeside Watersports on NBC News! Jason Hawkins & David Michnowicz came down from NBC 30 Connecticut to check out what Lakeside has to offer. We were able to get Jason cruising around on skis and we even had a chance to demonstrate Wakesurfing. Check out the story that aired, you’ll even get to hear a little bit more about how Lakeside became a reality. The News Times of Danbury, Connecticut just ran an article on Lakeside Watersports! Read the full article at the NewsTimes.